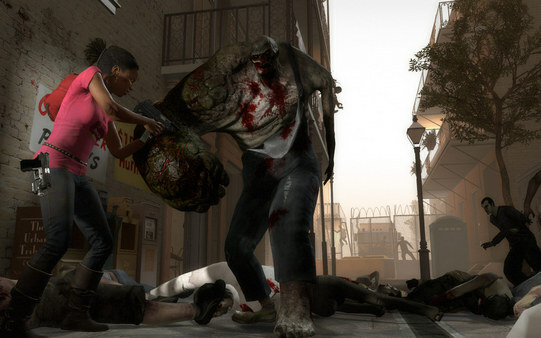 This zombie apocalypse, Left 4 Dead 2 (L4D2) - is a sequel to the possessor vysokootsenenny many awards, Left 4 Dead - cooperative best game of 2008. 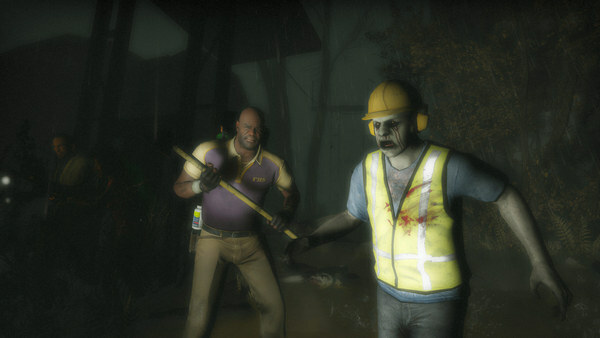 This cooperative horror shooter with a first-person, you and your friends will be held in five large campaigns through the city, swamps and cemeteries of the American South, from Savannah to New Orleans and finishing. 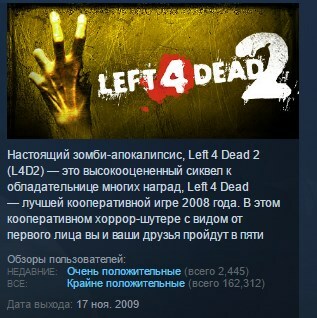 • You are required to fill out your details: a link to your Steam account and confirm that your Steam account region is Russia. Each THIRD buyer in random order, who left a positive feedback after the purchase of the game, can receive the activation key of the gift game on Steam or Origin. - To receive a gift, you must leave a positive feedback and add a request for a gift. - ATTENTION! Only EVERY third person will receive the gift, not absolutely everything. - The winner is selected from the general stream of reviews (for all products), and not on a specific one.